Since the implementation of the Affordable Care Act (ACA) in 2014, the uninsured rate in California dropped by nearly half, from 16% in 2013 to 9% in 2015. However, 2.9 million Californians remained uninsured. California's Uninsured: As Coverage Grows, Millions Go Without provides a look at the uninsured two years after full implementation of the ACA. There could be big changes in health insurance coverage ahead with the election of President Donald Trump. 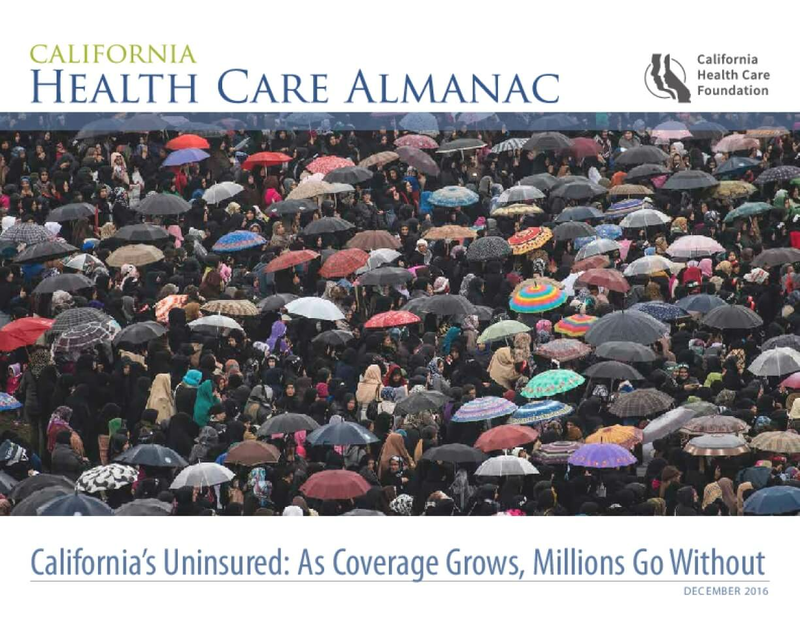 The drop in the uninsured rate was mainly due to a seven percentage point increase in individually purchased insurance coupled with a five percentage point increase in Medi-Cal enrollment. One in three of California's uninsured had annual incomes of less than $25,000. At this income level, people are potentially eligible for Medi-Cal. Of the state's remaining uninsured, one in four were age 25 to 34, one in three were noncitizens, and more than half were Latino. 62% of the uninsured were employed. Of the 1.8 million uninsured workers, 44% worked in firms with fewer than 50 employees. Fewer Californians cited "lack of affordability" as the main reason for going without health insurance in 2015 compared to 2014.